For home buyers with strong credit, solid income and at least a 3% down payment, a conventional mortgage may be the perfect fit. But which lender should you choose? NerdWallet has picked some of the best conventional mortgage lenders in a variety of categories so you can quickly decide which one is right for you. These lenders offer conventional loans with low down payments and flexible credit requirements. The largest FHA lender in the nation. Has a full complement of mortgage products for buying and refinancing. Offers a technology-friendly loan process with access to mortgage advisors. Offers a full line of purchase mortgages, including FHA and VA loans. Has low-down payment-options that don’t require private mortgage insurance. You’ll have multiple options for refinancing into a conventional loan with these lenders. Offers refinance mortgages with no origination fees or broker commissions. Minimum 620 credit score qualification. Automated suggestion engine will determine if there are steps you can take to lower your rate. Offers customers a variety of refinance options. Provides fixed, adjustable, jumbo, FHA, VA and Home Affordable Refinance Program loans. You can apply online, in a branch or by phone. Enjoy a fast, convenient and fully automated mortgage process with these lenders. Fully automated process that imports employment and income data, credit scores, property information and more. Provides a loan decision in minutes. Has hundreds of high marks and positive reviews on sites such as the Better Business Bureau and Yelp. Boasts a more than 95% customer satisfaction rate. Provides a completely digital mortgage platform for both refinance and purchase customers. These lenders specialize in loans for those with low credit scores or nontraditional credit histories. Uses manual underwriting to evaluate borrowers, which allows more flexibility to approve loans. Offers a broad range of loans, including FHA, fixed-rate and adjustable-rate mortgages; minimum score 580. Offers multiple down payment assistance and grant programs. Want a human to answer questions and provide updates? Try these lenders. One of the largest banks in the world with thousands of branches across the U.S.
Offers a range of products, including fixed, adjustable, jumbo, FHA and VA loans. Create an account to upload documents, download loan disclosures, e-sign and more. Offers full line of purchase mortgages, including FHA and VA loans. Has low-down-payment options that don’t require private mortgage insurance. Has nearly 700 branches across all 50 states. Conventional mortgages typically conform to loan limits set by the Federal Housing Finance Agency, and aren’t guaranteed or insured by the federal government. How much down payment is needed for a conventional mortgage? Some lenders offer conventional mortgages with a down payment of as little as 3%. You’ll typically need to put down at least 20% to avoid private mortgage insurance, however. Am I eligible for a conventional mortgage? Qualifying for a conventional loan is generally harder than qualifying for FHA and other government home loans. In addition to down payment funds, you’ll need a solid income and credit history. 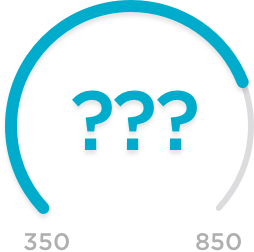 Credit score requirements for conventional mortgages vary by lender, but 620 is typically the minimum. You’ll need a score of around 740 to get the best rates. What’s the difference between conventional and FHA mortgages? Unlike conventional mortgages, FHA loans are guaranteed by the Federal Housing Administration. FHA mortgages have more relaxed income and credit score requirements than conventional mortgages, but they typically require a 3.5% down payment and mandatory mortgage insurance for the life of the loan. What should I look for in a conventional mortgage lender? The best conventional mortgage lenders offer the right combination of competitive rates, attractive loan terms and low closing costs. Finding a lender that excels at customer service and your preferred style of communication is also essential.